… spent hours hitting balls in a horse paddock near my home, and within a few months was on a helluva learning curve. I shot a par round with 8 months and a crazy round of 64 not long after. It was then my form attracted the attention of local coaches and I started on a journey of regular golf lessons. … almost all golf instruction bypasses our natural learning system. It seems extraordinary but I’m convinced this is true. All of the books, videos and internet sites are hindering rather than helping our progress. There’s no complicated or confusing technical rules inside. Just real world advice on how we should learn to approach golf – making it no more difficult than riding a bike or driving a car. In fact, this information is centuries old – based on how we’ve been learning skills and performing under the pump since the stone ages. This information started out as a paid content ($49). It did quite well but I found many golfers reluctant to take the first step because of the financial commitment. With so many dodgy and hyped up products on the Internet I really can’t blame people for being skeptical. 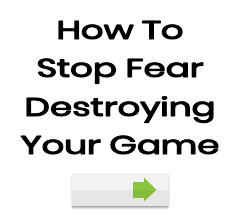 So the booklet is now free (with some bonus information thrown in) and it is designed to give you an insider look at how you can break free from the golfing doldrums and light your game on fire. You will receive the content in the following order. 1. 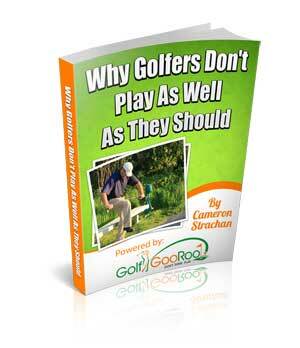 Why Golfers Don’t Play As Well As They Should booklet: This PDF is a hard-hitting report that outlines why you currently struggle with your golf game and what you can do about it. It’s a little controversial and not your usual golf learning material. If you’re expecting typical instruction and hype, probably best you don’t sign up. 2. Bonus video: You need to see this video as it shows an example of what’s possible when you remove the shackles of traditional instruction. This case study is of one of the best golfers I’ve seen – a guy that’s never taken a lesson and is courageous enough to walk his own path. You’ll also be added to my newsletter list. Each week or so I add a new golf lesson to my blog and I may send you an email to notify you. At the time of writing there are close to 500 free golf articles and thousands of comments from eager golfers. This alone is a tremendous learning resource (all free). Please note: These are unique articles written by me. They are not some BS scrapped together from an article site or rehashed garbage plucked from the Internet. They are fresh and game changing lessons designed to help you with your game. And they’re all based on natural learning principles, developed through 20 years of serious research. And I sell stuff. If you check out the site you’ll see a lot of great free information – this is not going to change. I do offer paid products for golfers looking for extra help. There’s no obligation to buy anything but I do send emails from time to time offering these products. To summarise: I sell stuff and I email you about it. If this makes you uncomfortable then please don’t subscribe. There’s also an unsubscribe link in every email. If you no longer wish to receive my emails you can stop them right away. To reduce the risk of spam I do ask for a double opt-in certification. This means you’ll initially receive an email asking you to confirm your subscription to this course. Once you have confirmed, the information will flow freely to you. The PDF will arrive straight away with the other lessons every other day or so. Hope all this makes sense and if you have any questions please contact me. To get started please fill in the form below.